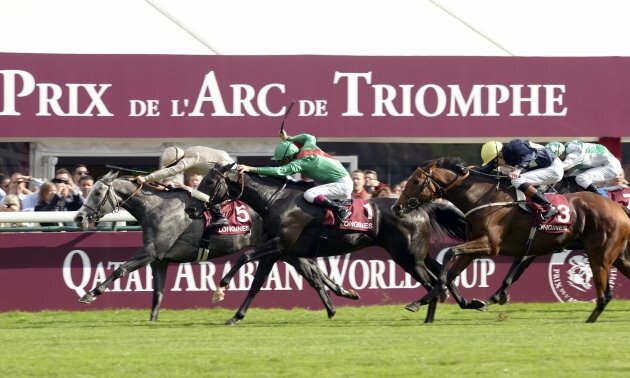 Welcome to the Timeform Horse Racing Odds Comparison service. Compare the latest betting odds from bookmakers, and the Betfair Exchange, and get the best price before you place your bets. Scroll down to see the latest prices for the next three races in GB & Ireland, or use the box below to navigate to your selected race. Need an account? Click on any of the bookmaker logo's to get special sign up offers from our partners. 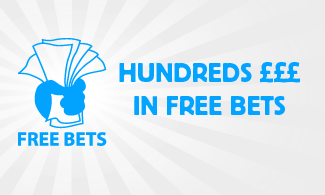 See all our free bet offers. Please tilt your device sideways to view the bookmaker odds. THE BULL may have needed his reappearance last month and is worth siding with to build on that as he still looks well treated based on his defeat of a subsequent 3-time winner at Newcastle back in November. Krazy Paving arrives at the top of his game and rates an obvious threat, while Olaudah can't have been right when last seen and he had been knocking on the door prior to that. 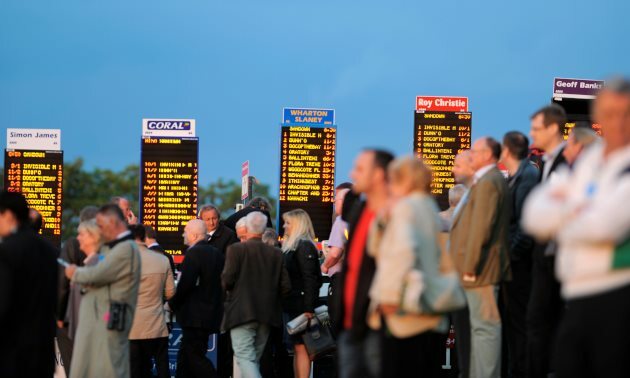 Timeform is not liable for any services offered by its bookmaker partners. T&C's. Bookmaker odds are refreshed every 30 seconds. Twice-raced maiden. Second of 11 in bumper (4/5) at Navan (16f, good to soft) 94 days ago, battling well. Up in trip. Lightly-raced maiden. Creditable second of 15 in bumper at Cork (16f, heavy, 7/1) 33 days ago. Up in trip. Possibly amiss when pulled up in bumper (11/4) at Wexford (16f, soft) on NH debut 18 days ago, weakening when pulled up over 2f out. Up in trip. Yeats mare. Sister to 2 winners, including bumper winner/useful hurdler Who's My Jockey, closely related to top-class hurdler Hurricane Fly. Dam 7f winner. Of obvious interest on debut. Getaway filly. Half-sister to useful hurdler/fairly useful chaser Ixora and fair 3m hurdle winner Oscar Star. Poor hurdler. Remains a maiden after 9 bumper runs. Good second of 13 in bumper at Sligo (18f, good, 4/1). Off 8 months. Twice-raced maiden. 9/2, eleventh of 15 in bumper at Cork (16f, heavy) 33 days ago. Up in trip. Lightly-raced maiden under NH rules. 25/1, creditable fifth of 19 in novice hurdle at this course (16f, good to soft) 16 days ago. Switches from hurdles to bumpers. Back up in trip. Lightly-raced maiden. 8/1, below form fifth of 15 in bumper at this course (16f, good to soft) 129 days ago. Up in trip. 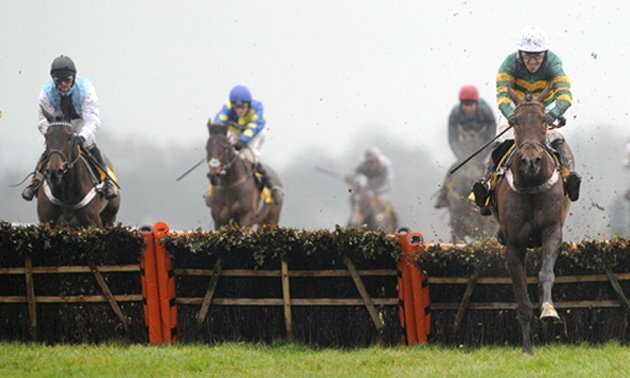 Fourth of 12 in bumper (50/1) at Down Royal (16.6f, heavy) on NH debut 38 days ago. Up in trip. Blinkered, third of 15 in bumper at Cork (16f, heavy, 20/1) on NH debut 33 days ago. Up in trip. Shantou mare. 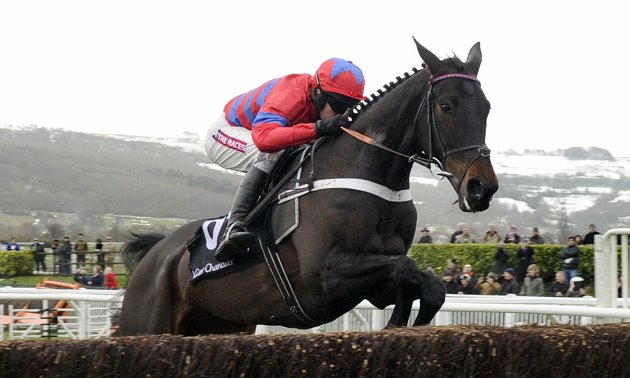 Sister to bumper winner/useful hurdler Zero Ten and half-sister to ungenuine but fair 3¼m chase winner Oriental Fixer. Thrice-raced maiden. Seventh of 12 in bumper at Tramore (16f, heavy, 5/1) 9 days ago. Up in trip. Lightly-raced maiden. Creditable third of 7 in bumper at Kilbeggan (19.8f, good, 5/2). Off 9 months. 14/1, below form fifth of 15 in bumper at Cork (16f, heavy) 33 days ago. Up in trip. Seventh of 12 in bumper (8/1) at Down Royal (16.6f, heavy) on NH debut 38 days ago. Up in trip. Thrice-raced maiden under NH rules. 100/1, tenth of 18 in novice hurdle at Limerick (19f, good) on hurdles bow 12 days ago, not knocked about. Switches from hurdles to bumpers. Court Cave mare. Closely related to fairly useful hurdler/chaser Always Lion. Dam unraced. Twice-raced maiden. Eighth of 14 in bumper (100/1) at Wexford (16f, soft) 18 days ago. Up in trip. LARQUEBUSE has shaped well both starts so far and this extended-length bumper should be right up her street. She will take some stopping, but market confidence behind Wendy Howell on debut would put a slightly different slant on things. Modest maiden at 2 yrs. Could be capable of picking up a race and has good-value claimer on for first time. Promising individual. Winner at Kempton in March. Very good ½-length second of 11 to Comeonfeeltheforce in handicap at Kempton (8f, 3/1) 11 days ago. Merits consideration. 7/1 and hooded for 1st time, good fourth of 13 in handicap at Kempton (7f) 43 days ago, hampered. Can make presence felt. First run since leaving Adam West, career best when winning 11-runner handicap at Kempton (8f, 8/1) 11 days ago by ½ length from Capofaro. Expected to be bang there again under in-form apprentice. Thrice-raced maiden. 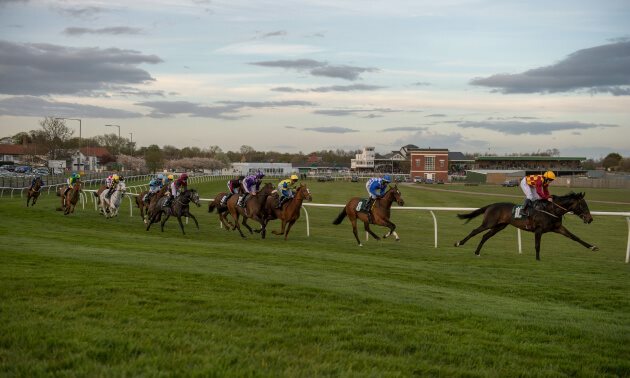 50/1, eighth of 13 in minor event at Leicester (7f, good) 18 days ago. Makes handicap debut. Open to progress. Modest maiden. Creditable fourth of 13 in handicap (25/1) at Chelmsford City (10f) 47 days ago. Cheekpieces back on. Lightly-raced maiden. 16/1, last of 9 in handicap at Nottingham (10.2f, good) 13 days ago. Back down in trip. Others more persuasive. Thrice-raced maiden. Last of 8 in minor event at Kempton (8f, 25/1) 31 days ago. Makes handicap debut. Could improve, but needs to plenty. Lightly-raced maiden. Hooded for 1st time, ninth of 11 in handicap at Wolverhampton (7.2f, 11/1) 26 days ago. Cheekpieces on 1st time. Lightly-raced maiden. 33/1 and cheekpieces on for 1st time, seventh of 11 in handicap at Wolverhampton (7.2f) 26 days ago. Visor on 1st time. Lightly-raced maiden. 10 lengths tenth of 11 to Comeonfeeltheforce in handicap at Kempton (8f, 20/1) 11 days ago, slowly away. Difficult ask. Lightly-raced maiden. Eleventh of 12 in handicap (66/1) at this C&D (AW) 88 days ago. 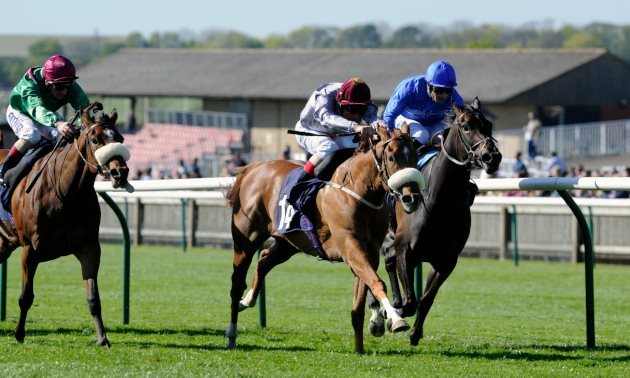 COMEONFEELTHEFORCE was better than ever when making a successful start for her new yard at Kempton recently, beating Capofaro, and looks capable of following up with the booking of the in-form 7 lb claimer Georgia Dobie meaning she's racing off 3 lb lower this time. Her old rival should have more to offer and seems sure to be thereabouts again. Temujin is another to consider.